Sierra Wireless reported Q4 2018 revenue of $201.4 million, an increase of 9.7% compared to $183.5 million in the fourth quarter of 2017. Product revenue was $178.2 million, up 5.3% year-over-year, and Services and other revenue was $23.2 million, up 63.0% compared to the fourth quarter of 2017. Net loss was $3.8 million, or $0.11 per diluted share, in the fourth quarter of 2018 compared to net loss of $3.5 million, or $0.11 per diluted share, in the fourth quarter of 2017. Non GAAP Net earnings amounted to $9.0 million, or $0.25 per diluted share, in the fourth quarter of 2018 compared to net earnings of $9.2 million, or $0.28 per diluted share, in the fourth quarter of 2017. Quarterly revenue for the three business segments was as follows: (i) Revenue from OEM Solutions was $148.7 million in the fourth quarter of 2018, up 6.4% compared to $139.8 million in the fourth quarter of 2017; (ii) Revenue from Enterprise Solutions was $30.3 million in the fourth quarter of 2018, down 5.1% compared to $31.9 million in the fourth quarter of 2017; and (iii) Revenue from IoT Services was $22.4 million in the fourth quarter of 2018, up 89.1%, compared to $11.9 million in the fourth quarter of 2017, driven by the contribution from Numerex and organic subscriber growth. “We are accelerating the transformation of the company into a global IoT solutions and services provider. We are centralizing our R&D, combining our global sales team and driving efficiency programs throughout our operations,” said Kent Thexton, President and CEO of Sierra Wireless. Sierra Wireless reported Q3 2018 revenue of $203.4 million, an increase of 17.9%, compared to $172.6 million in the third quarter of 2017. Gross margin was $67.3 million, or 33.1% of revenue, in the third quarter of 2018 compared to $57.3 million, or 33.2% of revenue, in the third quarter of 2017. Non-GAAP net earnings were $10.5 million, or $0.29 per diluted share. Services and Other revenue was $24.0 million, up 117.8% compared to the third quarter of 2017. Quarterly revenue for the three business segments was as follows: (i) Revenue from OEM Solutions was 148.3 million in the third quarter of 2018, up 7.6% compared to $137.9 million in the third quarter of 2017; (ii) Revenue from Enterprise Solutions was $32.1 million in the third quarter of 2018, up 22.0% compared to $26.3 million in the third quarter of 2017; and (iii) Revenue from IoT Services was $23.0 million in the third quarter of 2018, up 172.8%, compared to $8.4 million in the third quarter of 2017 driven by the contribution from Numerex and organic subscriber growth. Sierra Wireless appointed Kent Thexton as president & CEO. Thexton has been serving as interim president & CEO since May 31st, 2018. Previously, Thexton was founding Chief Marketing Officer and board member of O2 plc in the U.K. (now part of Telefonica); the Chief Operating Officer of Rogers Cantel in Canada; and he co-founded a Mobile Virtual Network Operator (MVNO) business in the U.S. Mr. Thexton has spent the past five years in Canada as Managing Partner at OMERS Ventures and Co-founder and General Partner at ScaleUp Ventures. In addition, Robin Abrams, who has served on the company’s board since 2010, has been appointed by the Board of Directors to be the new Chair replacing Mr. Thexton who joined the board in March 2005 and has served as Chair since February 2016. In her new role, Ms. Abrams brings more than 30 years of experience in the technology industry having held key management positions for some of the world’s most high-profile technology companies, including Apple, VeriFone, and Palm Computing. Ms. Abrams is currently an active director on three other Boards of U.S. based technology companies. The AirLink LX40 supports data processing at the edge and is designed for connecting cameras, smart lockers and point-of-sale terminals, as well as industrial remote data logging and sensing equipment in indoor or protected-outdoor locations. Sierra Wireless also said its AirLink LX40 also enables IoT edge programmability, supporting the field-proven ALEOS Application Framework for embedded applications, as well as tightly integrated cloud services and APIs. These features, combined with LTE-M/NB-IoT connectivity and a rich set of I/O options for data acquisition and sensor aggregation, enable critical data to be processed at the edge to drive application insight and create event-driven situational awareness, while optimizing data transmission. LTE-M/NB-IoT support also provides five to 10X enhanced coverage in remote locations or buildings, while reducing monthly data plan costs by up to 10X. Sierra Wireless unveiled its AirLink MG90 High-Performance Multi-Network Vehicle Router supporting FirstNet’s First Priority – which includes priority and pre-emption for first responders – and FirstNet’s 700MHz Band 14 spectrum. The router supports LTE-Advanced Pro (Cat-12 speeds) and can switch seamlessly between FirstNet Band 14 wireless spectrum and other U.S. commercial mobile networks, with dual concurrent Gigabit Wi-Fi and Gigabit Ethernet and extensions to Land Mobile Radio (LMR) and satellite systems. This is the first device of its kind to achieve the FirstNet Ready designation. The router is based on Sierra Wireless' AirPrime EM7511 LTE-Advanced Pro embedded module, which was also recently approved by AT&T and is the first embedded module available for the FirstNet network. Sierra Wireless Jason Cohenour will retire from his position as President and Chief Executive Officer and will be stepping down as a director of the company. Kent Thexton, Chair of Sierra’s Board of Directors, has been named interim CEO. A search is underway for a permanent replacement. Sierra Wireless reported revenue of $186.9 million for the first quarter of 2018, an increase of 15.9% compared to $161.2 million in the first quarter of 2017. Gross margin was $62.1 million, or 33.2% of revenue, in the first quarter of 2018, compared to $55.5 million, or 34.4% of revenue, in the first quarter of 2017. Non-GAAP net earnings were $3.3 million, or $0.09 per diluted share, in the first quarter of 2018, compared to net earnings of $7.8 million, or $0.24 per diluted share, in the first quarter of 2017. Revenue from IoT Services was $22.5 million in the first quarter of 2018, up 217.6% compared to $7.1 million in the first quarter of 2017. IoT Services results include the first full quarter of contribution from Numerex. Sierra Wireless reported Q4 2017 revenue of $183.5 million, an increase of 12.6% compared to $163.0 million in the fourth quarter of 2016. Revenue from OEM Solutions was $139.8 million in the fourth quarter of 2017, up 3.4% compared to $135.2 million in the fourth quarter of 2016. Revenue from Enterprise Solutions was $31.8 million in the fourth quarter of 2017, up 52.0% compared to $21.0 million in the fourth quarter of 2016. Revenue from IoT Services was $11.9 million in the fourth quarter of 2017, up 73.5% compared to $6.8 million in the fourth quarter of 2016. GAAP net loss for the quarter was $3.5 million, or $0.11 per diluted share. Non-GAAP net earnings were $9.2 million, or $0.28 per diluted share, in the fourth quarter of 2017, compared to net earnings of $8.8 million, or $0.27 per diluted share, in the fourth quarter of 2016. Sierra Wireless reported Q3 revenue of $173.2 million, an increase of 12.8% compared to $153.6 million in the third quarter of 2016. Gross margin was $57.8 million, or 33.3% of revenue, in the third quarter of 2017, compared to $49.4 million, or 32.1% of revenue, in the third quarter of 2016. Operating expenses were $57.5 million and earnings from operations were $0.2 million in the third quarter of 2017, compared to operating expenses of $49.4 million and a loss from operations of $0.1 million in the third quarter of 2016. Net earnings were $1.2 million, or $0.04 per diluted share, in the third quarter of 2017, compared to a net loss of $1.8 million, or $0.06 diluted per share, in the third quarter of 2016. Revenue from OEM Solutions was $138.5 million in the third quarter of 2017, up 8.4% compared to $127.8 million in the third quarter of 2016. Revenue from Enterprise Solutions was $26.3 million in the third quarter of 2017, up 38.8% compared to $18.9 million in the third quarter of 2016. Revenue from Cloud and Connectivity Services was $8.4 million in the third quarter of 2017, up 23.0% compared to $6.9 million in the third quarter of 2016. In August 2017, Sierra Wireless agreed to acquire Numerex in a stock-for-stock merger transaction to expand its position as a leading global IoT pure-play. Sierra Wireless announced its Smart SIM technology and connectivity service for IoT. Sierra Wireless said its Smart SIM automatically selects networks based on the best service available in any given location. It comes with multiple operator profiles already installed, effectively combining several MNO roaming SIMs into one physical Smart SIM. The on-board patented applet then intelligently selects the best available regional network operator at any given time. This results in better coverage and service up-time. In the event a device loses network signal, whether in-transit or otherwise, the Smart SIM will detect this and re-establish the connection with another network automatically. Sierra Wireless noted that it has more than 700,000 SIM subscribers globally that count on its connectivity offering to power their IoT deployments. Sierra Wireless, which offers 2G, 3G and 4G embedded modules and gateways, has agreed to acquire Accel Networks. Financial terms were not disclosed. The deal is expected to close in June 2015. 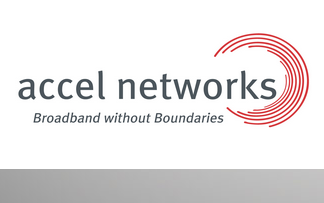 Accel Networks provides primary and back-up connectivity services to more than 300 enterprise customers in sectors such as retail, finance, security, energy, and hospitality. The company delivers an end-to-end solution – integrating 4G LTE gateways and the iMaestro antenna, with cloud-based radio frequency link optimization and remote management. Accel Networks was founded in 2002 and is headquartered in Florida, with its primary operations center located in Georgia. The company currently employs 28 full time staff. 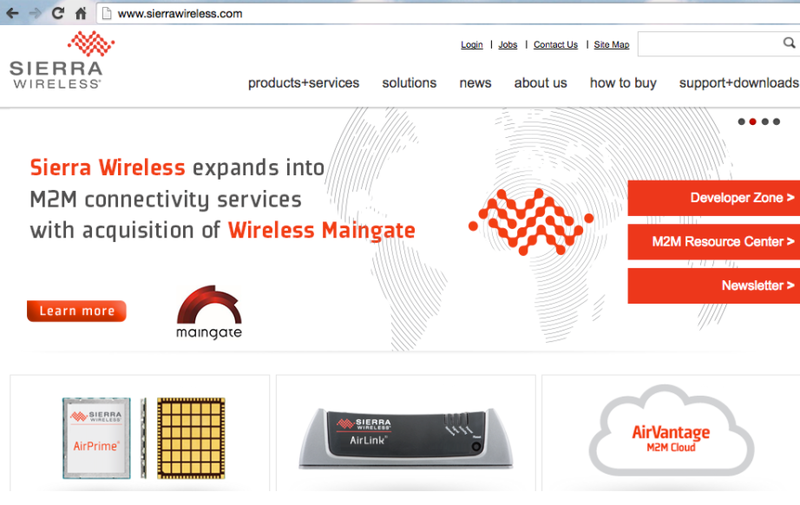 Sierra Wireless agreed to acquire Wireless Maingate AB, a provider of machine-to-machine (M2M) connectivity and data management services for US $90 million in cash. The transaction is expected to close in February 2015. Wireless Maingate, which is based in Karlskrona, Sweden, provides managed M2M connectivity and information management services to more than 500 customers across Europe, reaching a subscriber base of more than 500,000 connected devices. Maingate’s value-added services include leading-edge over-the-air subscription provisioning and tailored connectivity solutions for a broad range of M2M industries. The company claims a strong base of recurring revenue and expects 2014 turnover of over US $19 million and earnings before interest, taxes, depreciation, and amortization (EBITDA) of US $6 million. Sierra Wireless expects the transaction to be immediately accretive to earnings. 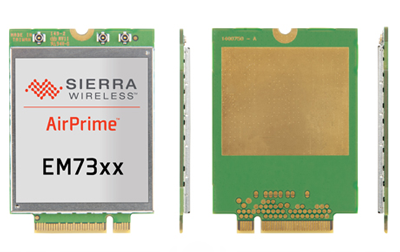 Sierra Wireless introduced two new AirPrime embedded LTE modules based on Intel chipsets and designed for integration into notebook computers and tablets. The AirPrime EM7340 supporting LTE in Japan and the AirPrime EM7345 supporting LTE networks in the rest of the world. Samples of the AirPrime EM7340 and EM7345 are available now for testing and certification purposes. Commercial shipments are expected to begin within this quarter.